Review Notes: Dirty Ducats updates their affiliate content on a very regular basis. The only thing missing from this program are affiliate emails and embedded videos. Since they do not send out affiliate emails, remember to check the site weekly for new content. Dirty Tony and All American Heroes convert very well. Review Notes: Dirty Boys Pays is a very solid program that has been around a long time. 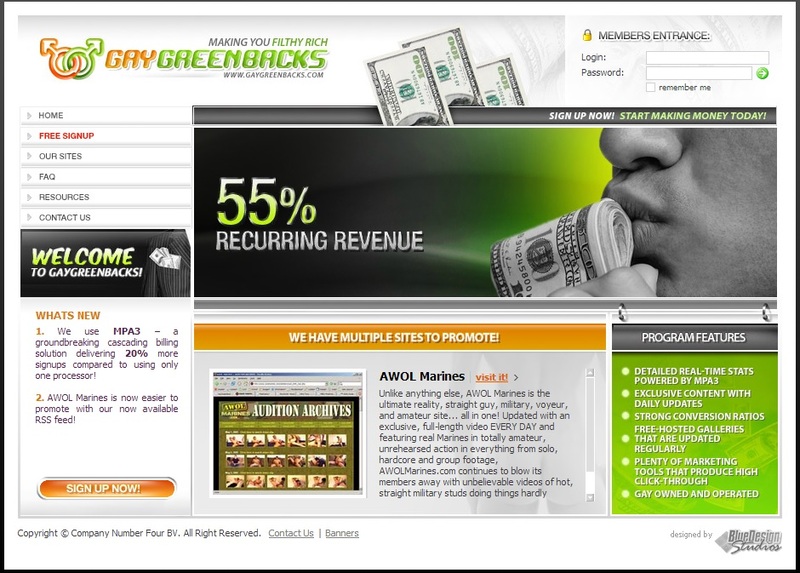 They update their affiliate content area frequently and they send out emails to affiliates with updated content. The people who run this program are professionals and are easy to work with and help in any way they can. Review Notes: Citebeur Affiliate program certainly has some very hot sites in their portfoliio, but their affiliate system is lacking and confusing. Their payment system is also confusing (you must send them an invoice), and their rev share amounts are below what other programs offer. They do send out frequent email updates to affiliates.